At Salem State University, we are committed to offering an educational experience that prepares students to become active participants in the global community. Our efforts are guided by our vibrant and diverse campus community, our hundreds of international students, robust global partnerships, a multitude of curricular and extracurricular activities, and an active committee for comprehensive internationalization comprised of faculty and administrators representing all aspects of academic and campus life. Salem State staff and professors did help me a lot to be confident and to adapt with the new environment. 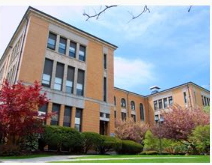 The Center for International Education (CIE) at Salem State University coordinates international programs and outreach for students, faculty, and scholars, both domestic and international. Our mission is that every Salem State student have the opportunity for global engagement that enrich their experiences and allow for a deeper understanding of the world. We offer comprehensive immigration services and support for international students and scholars, faculty support for global initiatives, and provide advising for students who want to study abroad. First and foremost, international students are a welcomed and vibrant part of our campus community. Through the Center for International Education, the International Students’ Association, and the services and events offered on campus, we all want your experience at Salem State to be rewarding, memorable and one that allows all your goals to be achieved. 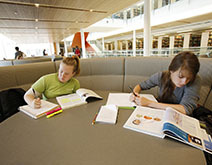 Salem State University is a welcoming and caring campus community distinguished by academic quality and small class size. We have over 285 students from 58 countries who experience a student-centered approach to teaching and learning; dedicated faculty and staff; students who strive to do and be their best; and accomplished alumni who are making a difference in their professions, their communities, and the wider world. Our university educates and empowers Salem State’s students to become responsible global citizens and contributors to the regional community and economy. Whether you are an international student, visiting scholar or whether you want to study abroad, the Center for International Education and our staff can assist you. Should you need to improve your English language skills before applying to earn an undergraduate or graduate degree, the Intensive English Language Program can help you succeed. You can learn more about our dynamic degree programs taught by world-class faculty at the College of Arts and Sciences, the Bertolon School of Business, the Maguire-Meservey School of Health and Human Services, the School of Education, and the School of Graduate Studies. 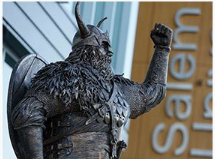 International students interested in attending Salem State should visit our admissions page where they can also learn about our affordable tuition and fees. Tour our Campus from Anywhere! Take a virtual tour in English, Spanish or Mandarin. 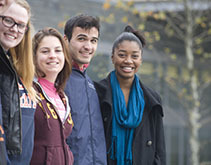 Salem State welcomes students from around the globe. In addition, our esteemed faculty are selected for visiting professorships in countries across the world.